The shoes celebrate the unifying power of sport. Nike is celebrating unity in a new set of World Cup-inspired shoes. 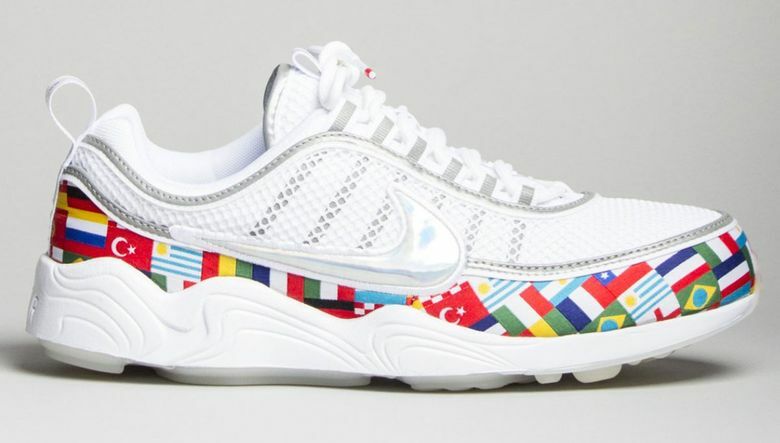 The mostly white shoes — there’s an Air Max 9o version and an Air Zoom Spiridon version — feature the flags of the participating countries around the mud guards. 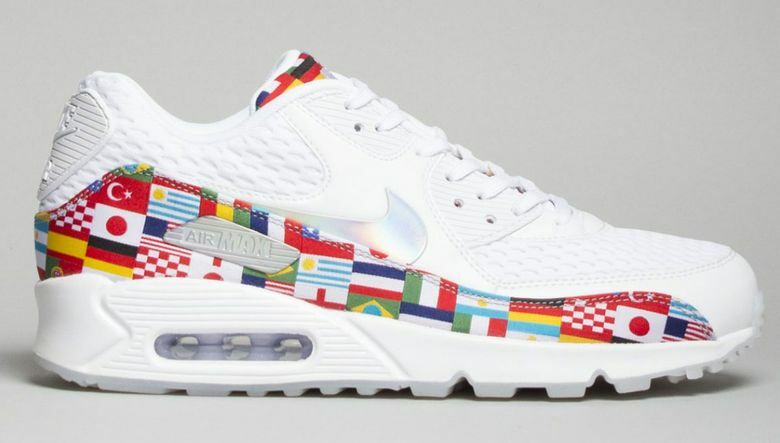 The Air Max version also has flags on the tongue. The shoes went on sale today and are likely to sell out. They can be found locally at Likelihood on Capitol Hill and likelihood.com for $140–$160.